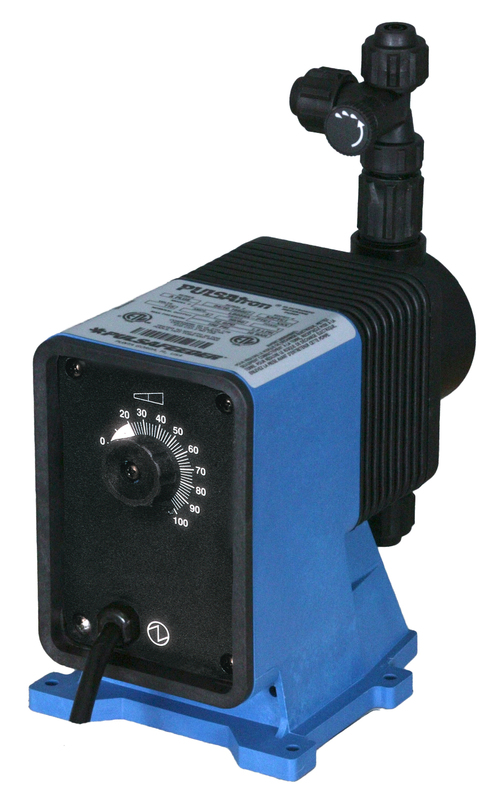 The new Pulsafeeder Pulsatron Series C pump offers manual online stroke length adjustment with fixed stroke rate. This pump is 24 Gallon Per Day, (GPD) 230 volt pump handles operating pressures up to 80 PSI. It is water resistant for outdoor and indoor applications. This pump has a highly reliable internal circuit control to maintain a strong working circuit to keep the pump running in the field for quite some time in all applications. The 2704 has a guided ball check valve system included in the head of the pump to reduce back flow and enhance outstanding priming characteristics. The pump is self priming. This metering pump is strong and reliable in the field and is one of the best pumps in the market place today.